Katie Creedon of Buxton, who has frequent seizures and can't speak, had never had a big celebration, until her mother's Facebook post inspired others and she ended up with a roomful of people and happiness. 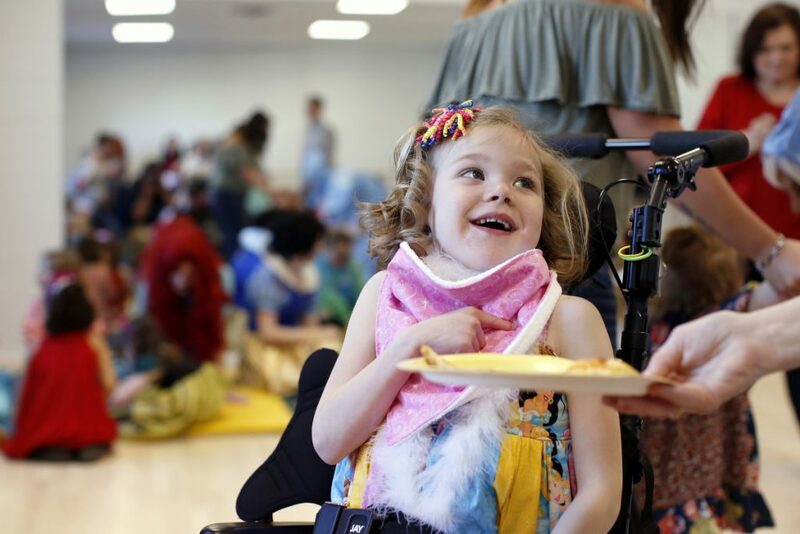 GORHAM — Katie Creedon was already smiling when she walked into her birthday party wearing a new dress and curly ribbons in her hair. She spotted herself in a mirror and signed “me” as her family and friends clapped and welcomed her to the surprise party. When she saw her friend Callie, she bolted across the room to give the smaller girl a hug and kiss. Katie was born with a rare genetic disorder known as CDLK5 deficiency that affects fewer than 1,000 people. She has frequent seizures, cannot speak and her life span will be shortened. Katie turned 6 on March 21, a day marked at home with her parents, brothers and a special dress made with fabric patterned with “Happy Birthday” and confetti. But the little girl from Buxton had never had a real birthday party. In early March, Jessica Creedon wrote an emotional Facebook post about her daughter’s approaching birthday. She had received a coupon in the mail for a little girl’s birthday party at a local business, but Katie doesn’t have many friends to invite to a party. 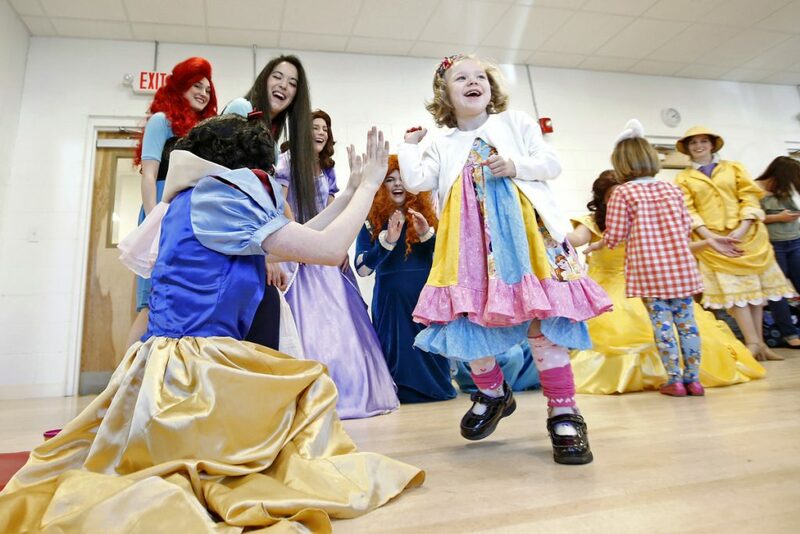 That post tugged at the hearts of several people who met Katie through a Make-A-Wish Maine event and inspired them to pull together a princess party for the girl whose health struggles make living like a normal 6-year-old impossible. Katie’s day-to-day life is marked by debilitating seizures. Despite that, she is bright and vivacious, said her father, Paul Creedon. She learned to walk at 4 and can now use sign language to communicate. “It’s exciting that she’s come so far,” he said. Her fifth year was a big one: She started kindergarten at Buxton Center Elementary School. She went to Disneyland with her family and raced a car in the Cub Scout Pinewood Derby. 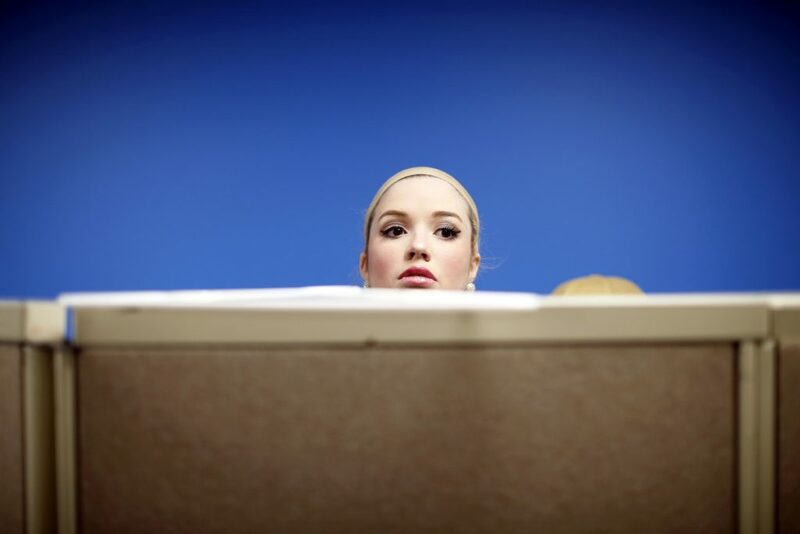 She went roller skating, got her ears pierced and went downhill skiing with her brothers. 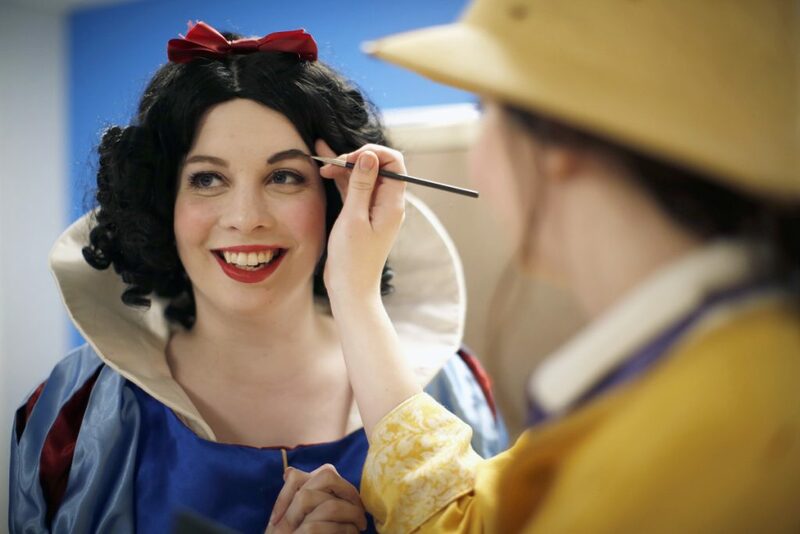 Brie Roche, who runs Brie’s Best Guests and frequently appears in costume as a princess, first met Katie in December at a Disney sing-along fundraising event. The guest list featured Make-A-Wish kids, including Katie. 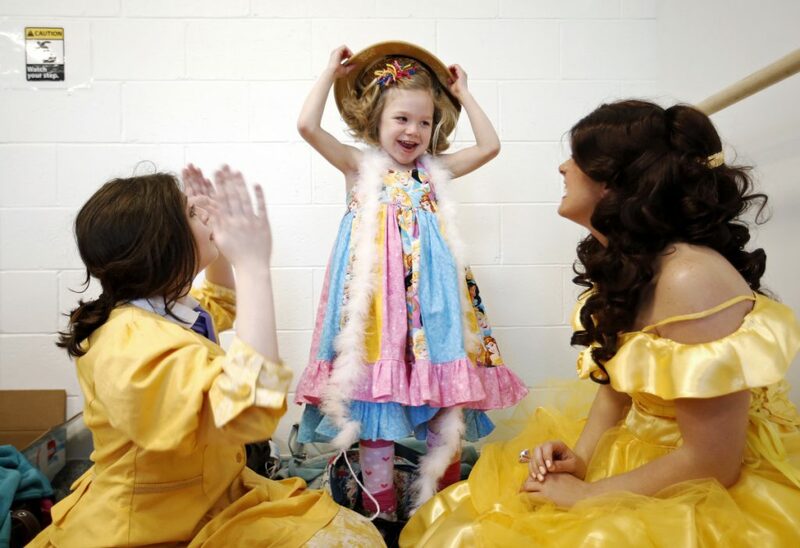 Enchanted by the little girl with an infectious smile and love of princesses, Roche and the other women involved with the company began following the “Katie’s Hope” Facebook page. When Roche saw Jessica Creedon’s Facebook post about her daughter’s upcoming birthday, she knew she had to do something special for Katie. After a flurry of texts, Roche and her friends began organizing a party for Katie. If Katie didn’t have friends to invite, at least her princess friends would be there, they thought. They arranged for a donated space – a dance studio at Atlantic Dance Arts in Gorham – and donated food from Anthony’s Italian Kitchen. The princesses – many of whom work as teachers and special educators – put together sensory games for Katie and the other children to play. They filled the room with princess decorations, cupcakes and presents. 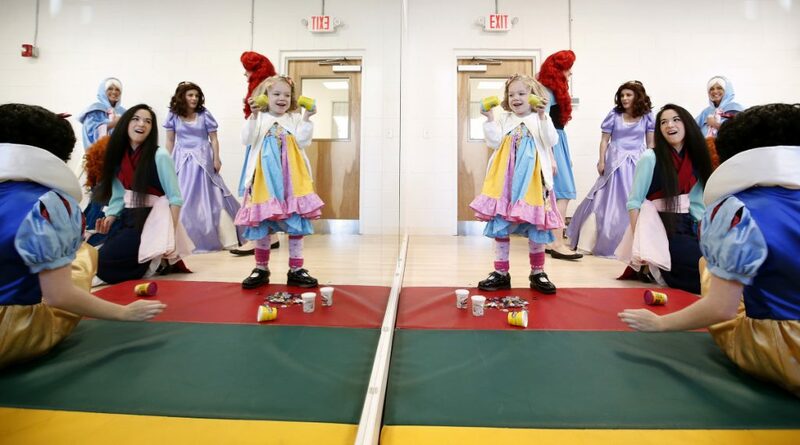 On Saturday, nine princesses and a fairy godmother converged on the dance studio for Katie’s special day. Briana Chu, a third-grade teacher in Shapleigh, met Katie at the Make-A-Wish event in December and was eager to dress up as the Disney character Mulan for the party. 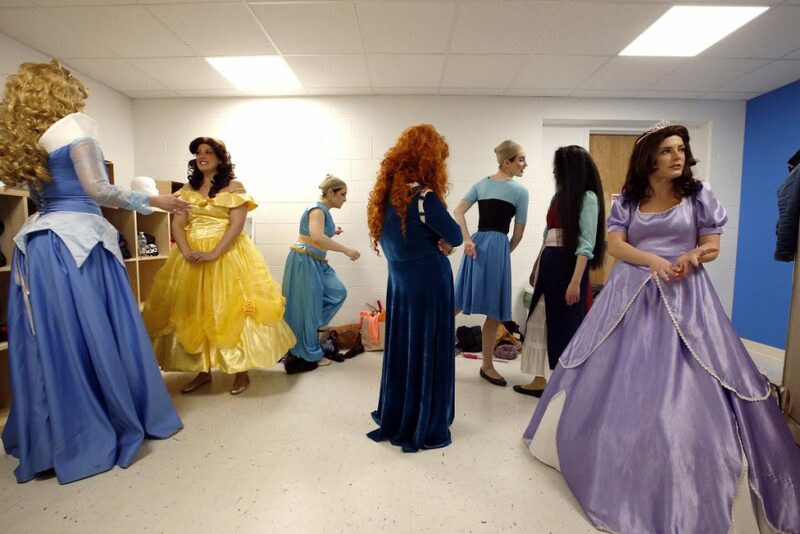 Jacqueline Fournier, a special education teacher who is originally from Scarborough, drove up from the Boston area to dress as a princess for the first time. After slipping into her own purple gown and diamond tiara, she helped her younger sister, Alicia Fournier, put on a curly red wig to complete her look as the princess from “Brave.” Alicia Fournier, now 19, has epilepsy like Katie and was also a Make-A-Wish kid. She had met Katie once before and was excited to join Roche and the other princesses for the party. Seeing children react to meeting a princess is always fun and rewarding, said Joanna Clarke, an actress who frequently appears as Sleeping Beauty and other princesses with Brie’s Best Guests. “It’s so rewarding because you can just hang out with these kids and they’re themselves 100 percent,” she said. As they waited for the guest of honor to arrive, the women talked about how excited they were to see Katie’s reaction to a parade of princesses. “When she sees princesses, she lights up like a Christmas tree,” Roche said. The room was full of guests when Katie arrived for her party, much to the delight of her parents. Her grandparents were there, plus aunts and uncles and family friends. Her best friend from school came wearing bunny ears. Her father and older brothers, 11-year-old Max and 8-year-old Carter, wore bow ties made from the same princess fabric as Katie’s dress. An extra-special guest, 3-year-old Callie, traveled from New Brunswick with her family to celebrate Katie’s big day. Callie also has CDKL5 and her family met the Creedons through a support group for families dealing with the disorder, said her mother, Rachael Atkinson. The Creedons gave Callie a wheelchair that Katie had outgrown. The adults at the party mingled and chatted, stopping occasionally to snap cellphone photos of the kids playing games. Katie bopped around the room, her shiny shoes tapping on the floor. Then the door opened and the princesses streamed in. Katie, her smile somehow even bigger than it had been, went straight to Mulan and stroked her long black hair. She touched another princess’ bright-red hair and laughed as she tugged at one of Snow White’s curls and gave her a high-five. “Katie has no words, but you can tell when she’s happy,” her mother said. Katie darted from the food table – where she had been snagging potato chips from a big bowl – to the corner where two princesses sat playing with Play-Doh and beaded necklaces. She rubbed the yellow tulle of Belle’s dress against her cheek, then turned her focus to the safari hat worn by Tarzan’s love interest, Jane. She giggled as she put the hat on her own head, then on Belle’s, then back on her own.